ALBION’S Seti Raumakita was among the try scorers as Plymouth Fiji destroyed a makeshift Plymouth Combination XV at Brickfields on Sunday. Plymouth Fiji scored 11 tries – five in the first half and six in the second – to run out 69-5 winners in front of more than 250 people. 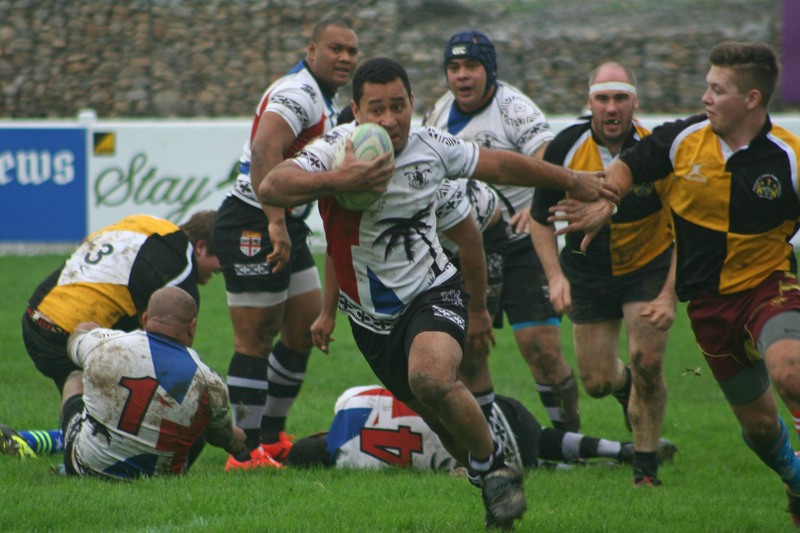 Royal Marine Raumakita, who has started Albion’s last two National One games, was not originally due to play but was added to the Fiji replacements to boost their numbers. He came on just before half-time and scored in the 65th minute of the charity match, which was raising money for a number of good causes including Glyn Evans, Gerry Brown and the Paul Lethbridge Memorial Fund. Lock forward Lopeti Faha was the star of the show, scoring a hat-trick and picking up the man-of-the-match award, which Albion’s director of rugby Graham Dawe helped select. The Combination team, unable to match the power and pace of the Fiji side, could only manage one try, which came from winger Michael Ruskruge when he pounced on a kick through in the 58th minute when they were 45-0 down. The Combination side’s selection had been hit by club commitments. The game was refereed by former Albion player and Launceston coach Mike Lewis. Prior to the match there was a minute’s silence for Plymouth rugby stalwart Sam Smale. Combination organiser Mike Freeman said: “We’re just chuffed the day went ahead. We had 40 kids play in the morning and then had six Plymouth Combination clubs represented in the main match.